I received a BSc degree in Computer Engineering from Nanyang Technological University (Singapore), MSc and PhD degree in Electrical Engineering from Columbia University (USA) in 2006. I have worked in research institutes, MNC, startup companies (IBM, AT&T Labs, Samsung Research Lab, etc.) in the United States for 6-7 years in various roles as a software & standards engineer, research scientist and technical manager. Prior to joining UNE, I worked as an assistant professor at the School of Information Systems, Singapore Management University. 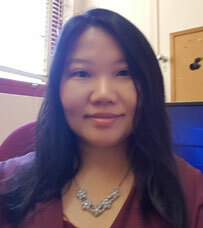 My research background and interests include mobile multimedia, multimedia retrieval (mobile visual search), computer vision, image/video processing, data mining, machine learning, and optimization. PhD (Electrical Engineering), Columbia University, New York City, USA. Multimedia retrieval (mobile visual search), perceptual-based image/video processing, scene understanding in computer vision (visual surveillance), analysing and mining data from mobile devices and sensors, predictive analysis, learning analytics (educational data mining approach to enable personalization in learning), as well as the application of the above research, with data science, machine learning algorithms and augmented reality to benefit agricultural, cultural heritage, sports science and health sectors. I have supervised 14 teams of 5-6 undergraduate students as well as postgraduate students on research projects related to mobile multimedia, data mining/data analytics and health & wellbeing. L-T.Cheok, S-Y.Heo, D.Mitrani, A.Tewari, “Automatic Actor Recognition for Video Services on Mobile Devices,” IEEE International Symposium on Multimedia (ISM), Irvine, CA, USA, December 10-12, 2012. L-T. Cheok, S. Rhyu, J. Song, “Multimedia Mashup Markup Language”, IEEE International Conference on Multimedia Information Networking and Security (MINES), Nanjing, China, November 2-4, 2012. H. Kalva, V. Adzic, L-T. Cheok, “Adapting Video Delivery Based on Motion Triggered Visual Attention”, SPIE Conference On Applications of Digital Image Processing, San Diego, August 2012. L-T. Cheok, J-Y. Song, K. Park, “Descriptor Extraction and Matching using Visual Attention Region for CDVS,” Contribution ISO-IEC JTC1/SC29/WG11/M24762, April 2012, Geneva, Switzerland (100th MPEG meeting). On behalf of Samsung. H. Kalva, L-T. Cheok, “Enabling Mobile Multimedia with the Cloud”, IEEE Communications Society (ComSoc) Multimedia Communications Technical Committee (MMTC) E-letter, invited, October 2011. L-T. Cheok, N. Gagvani, “Analytics-Modulated Coding of Surveillance Video”, IEEE International Conf. on Multimedia and Expo (ICME), Singapore, Jun - July 2010. L-T. Cheok and A. Eleftheriadis, “A Genetic Algorithm for Layered Multi-Source Video Distribution”, SPIE Image and Video Communications and Processing Conference, San Jose, CA, January 2005. M. Kim, S. Wood and L-T. Cheok, “eXtensible MPEG-4 Textual Format (XMT)”, ACM Multimedia, Los Angeles, CA, October-November 2000. Affiliate member of Multimedia Systems & Applications Technical Committee, IEEE Circuits and Systems Society, member of ACM, IEEE. Video, image, scene analysis in surveillance, sports video and agriculture sector; analysing and mining sensor data (including agriculture, sports science and health sector); image & video search on mobile devices, application of augmented reality in various domain (including collection of cultural heritage at museums).